Thirteen-year-old Rebel Mercer yearns for his father's approval. His dad suffers from PTSD and spends time in their basement communicating with a racist, anti-government militia group called the Flag Bearers. He doesn't agree with his dad's ideology, but he isn't exactly speaking out against it either. Can Rebel find his voice when it's needed the most? Thirteen-year-old Rebel Mercer lives in west Texas with his dad, Nathan, and his aunt, Birdie. His dad is finally home after serving in the military, and Rebel longs for his approval. But something isn't right. His dad has PTSD, and lately he has been spending his time communicating with a racist, anti-government militia group called the Flag Bearers. Rebel doesn't agree with his dad's newfound ideas, but he turns a blind eye to them. So when his best friend Ajeet beats Rebel at a robotics tournament by using one of Rebel's pieces, Rebel begins to wonder if there's some truth to what his dad has been saying, and he lashes out at Ajeet. Expelled from school, Rebel is taken by his dad to the mountains of Oklahoma, where they meet up with the Flag Bearers. Soon his dad is engulfed in the group and its activities, and they're becoming more and more dangerous. When Rebel gets wind of a planned attack on an African American church, he knows that this group has gone too far and innocent people could get hurt. Can Rebel find his voice and stop the Flag Bearers from carrying out their plans before it's too late? 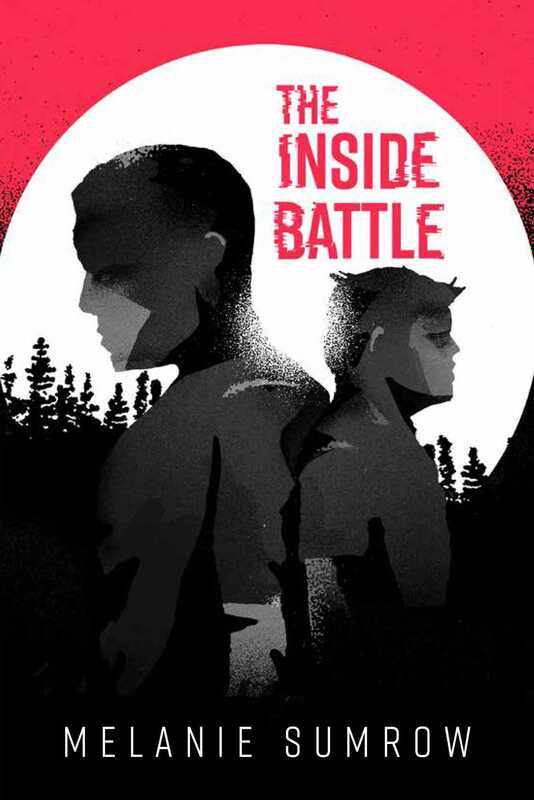 The Inside Battle is a gripping story of family, bravery, and speaking up for what's right from author Melanie Sumrow.